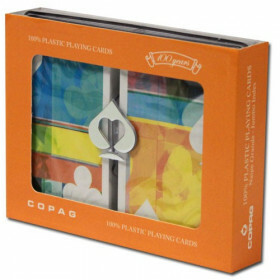 Have it your way with this unique dual-index plastic playing card set from COPAG. Whether you like jumbo index cards (large numbers), or pro poker peek cards (small corner numbers), these decks have you covered. 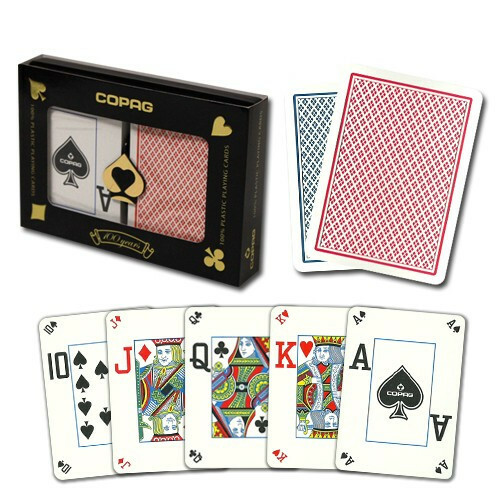 Get your 2 deck set of COPAG Red/Blue Poker Dual Index playing cards today and set your home game apart from the crowd. 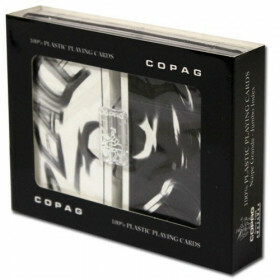 COPAG's innovative dual-index design gives you the best of both worlds. 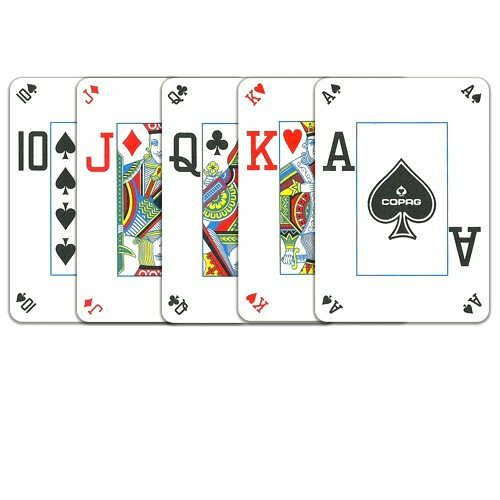 With a small corner "peek" index and a jumbo index on the face, these cards are playable a number of different ways. The jumbo index makes the cards easy to see on the table, while the pro poker peek index means you can bend up the tip ever so slightly without giving your hand away to your neighbor. 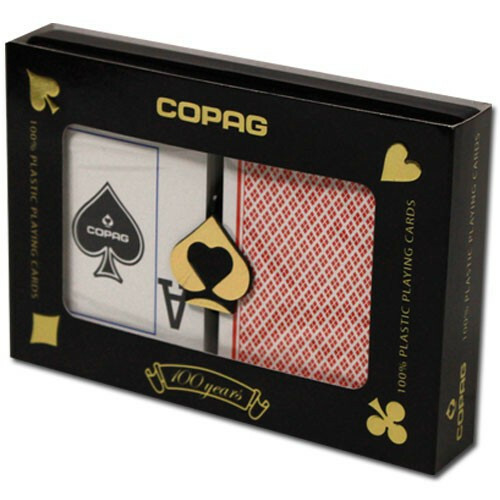 This dual index poker card set features teh quality and durability you have come to expect with COPAG. 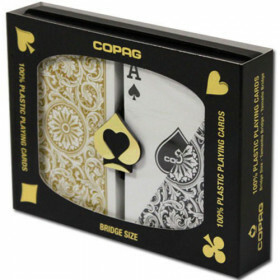 Thee 100% plastic playing cards will last up to 50 times longer than cheap paper playing cards or even those plastic-coated imitators. If you play cards often, you will definitely notice the difference right away and over the long haul. 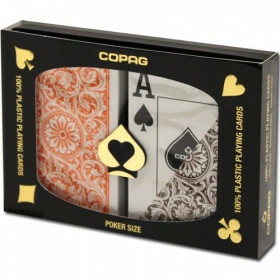 These cards feel like a true casino poker deck because casinos around the world use COPAG cards. 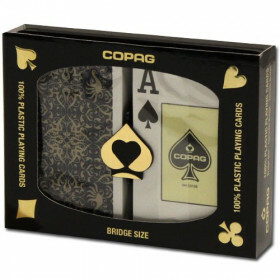 Buy a new set of high quality plastic playing cards today and upgrade your home poker game with that true Vegas feel! 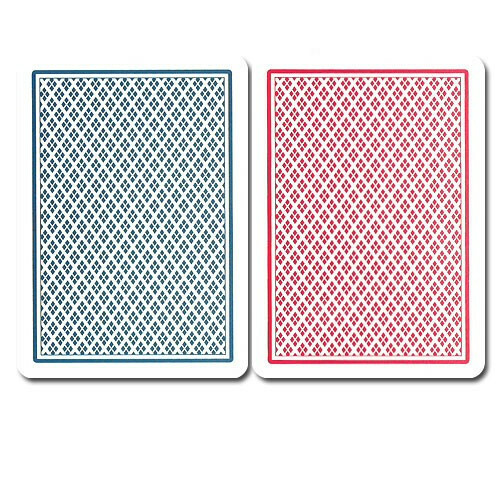 You can't beat these cards, they provide the best value per hand played in the industry.